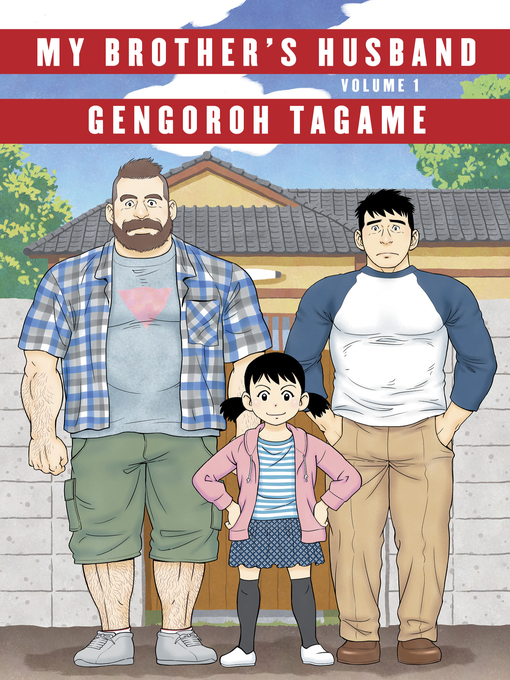 Gengoroh Tagame has made a name for himself as an openly gay manga-ka writing gay erotica in Japan. In a recent interview with Barnes & Noble, he said that any uproar in Japan over My Brother's Husband stemmed from the fact that a manga-ka who draws burly men in frequently violent sexual passion was being published in a family oriented publication. Once his story began syndication however, there was barely a peep. But that didn't necessarily mean that the story was accepted fully. My Brother’s Husband is a family-friendly story that shows what life is most like for gay people living in Japan today. It did make me tear up, and sigh a lot. Even incidental characters feel well thought out, and times when people are tight-lipped (the divorce of Yaichi and Natsuki for one thing) don’t frustrate me. Folks who identify as MOGAI or are allies will find the central message of acceptance and understanding to be "old news", but I learned a lot about modern Japan from this volume, the first of two omnibus editions. I was under the impression that Japan was more progressive than it may actually be. But in reality, the small remarks and movements to 'other' those who are gay are worse than I realized as an outsider. I hope this series does well there. I can’t recommend this highly enough! It shows such a deep heart and true kindness. I can't wait until the next comes out, and sincerely hope that Gengoroh Tagame will continue to publish stories that he feels are lacking. He's thinking of writing something about teenagers next.